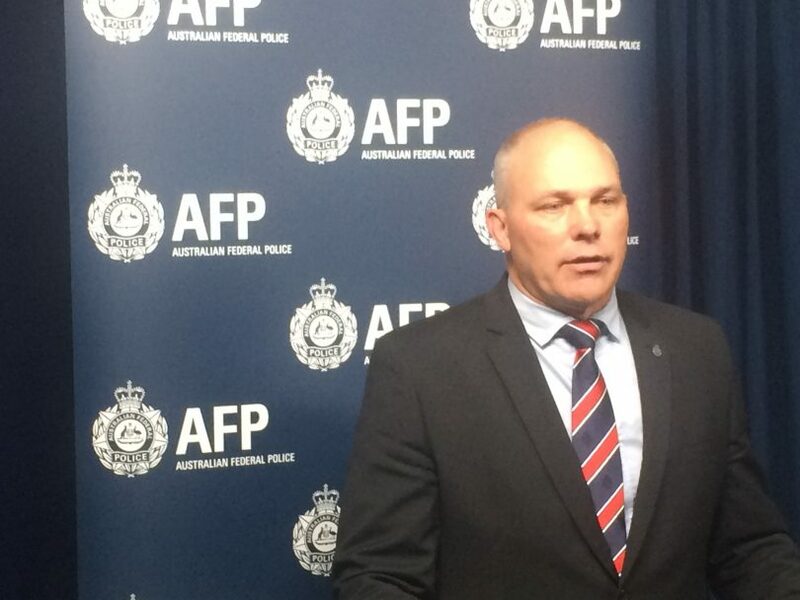 ACT Policing have warned of an increase in gang-related violence in Canberra after a shooting incident and arson attack in Calwell on Thursday night (28 June). Detective Superintendent Scott Moller told a media conference called after the attack that two men had entered a home on Carter Crescent where a man, woman and young child were living, and after a short-exchange, shots were fired. The man at the house was shot in the hand during the incident and was treated at the scene before being taken to hospital. The woman and young child were unharmed. However, one of the shots also passed through the exterior wall and into a neighbour’s home, missing an innocent, sleeping resident by a metre. The suspects also set three cars on fire in the backyard of the house before moving on to a second residence on the same street, firing shots into the front of the premises before fleeing. LIVE from Winchester Police Station where police are giving an update on the bikie gang violence in Calwell this morning. Detective Superintendent Moller said he expected an escalation of violence in Canberra due to the increasing number of gangs in the ACT. The Finks join the Comancheros, Nomads and Rebels gangs that now operate in the national capital. Superintendent Moller said Taskforce Nemesis was in the process of identifying the assailants and did not say what gangs were involved in the incidents, although the victims were known to police. He attempted to allay community concerns about yet another outbreak of gang-related violence in Canberra. “This is another terrible incident, but Canberra is one of Australia’s safest cities.,” he said. Last night’s violence follows an incident in Ngunnawal last week when several shots were fired into a house that was previously the home of a Comancheros bikie gang member. Earlier this week, ACT Chief Police Officer Justine Saunders said the escalation in bikie violence was keeping her up at night. Anyone with any information about this incident, or who is aware of any other criminal gang activity, is urged to contact Crime Stoppers on 1800 333 000, or via the Crime Stoppers ACT website.